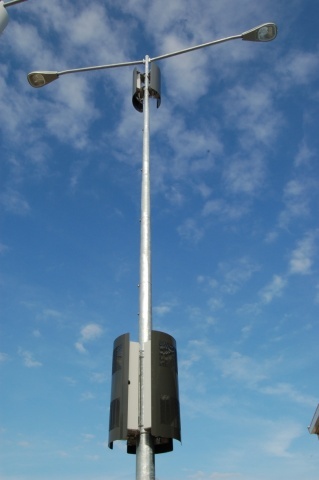 CommScope has devised a new concealment solution that will make deployment of metro cells on street poles much easier-a key consideration as operators push to increase wireless network capacity by installing small cell sites in urban areas. The new CommScope Metro Cell Concealment Solution features a two-piece design for mounting all the necessary equipment for metro cell operation, making for a total solution. Two aesthetically pleasing enclosures can mount and hide radios, antennas, backhaul termination (wireline or wireless), back-up batteries and other equipment on street poles in units that are more structurally balanced and easier to permit. Installed without ground-based cabinets and rights of way-the two enclosures occupy much less space than what is allowed in most local requirements. Rapidly assembled using a unique mounting system-much of the intricate assembly involving power, filtering and cabling can be performed offsite. Installed in a single work shift, minimizing on-street disruption and the opportunity for error. Installed to support multiple radio technologies or a second network operator, if required. Permitted once without the need for a second zoning application when changing radios or technologies. CommScope will demonstrate its new Metro Cell Concealment Solution at Mobile World Congress 2015 in Hall 2, Stand #2E46, along with other wireless solutions. In advance of the trade show, join the CommScope Community to access a preview chapter from the forthcoming “LTE Best Practices” ebook, which includes information about small cell applications. What Exactly Is a Small Cell? Andrew is a registered trademark of CommScope, Inc.
CommScope (NASDAQ:COMM) helps companies around the world design, build and manage their wired and wireless networks. Our network infrastructure solutions help customers increase bandwidth; maximize existing capacity; improve network performance and availability; increase energy efficiency; and simplify technology migration. You will find our solutions in the largest buildings, venues and outdoor spaces; in data centers and buildings of all shapes, sizes and complexity; at wireless cell sites and in cable headends; and in airports, trains, and tunnels. Vital networks around the world run on CommScope solutions.